Big thanks to @surferguy01 for clearing any doubts that we may of had before. 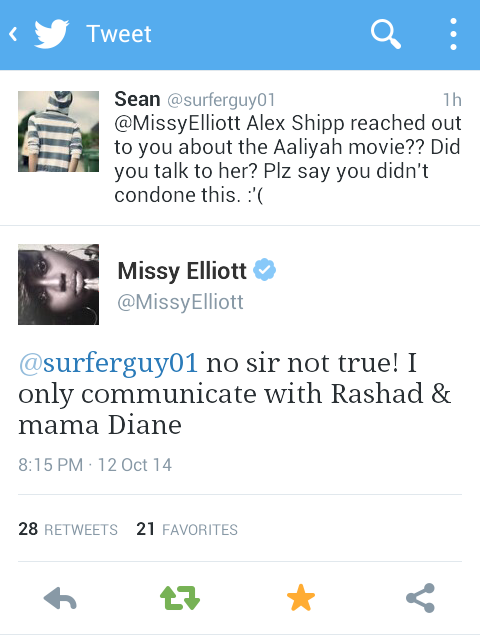 It seems as though Alex Shipp has been lying in regards to 'contacting' Missy Elliot, and we all know that Missy keeps it REAL. Not only is she tarnishing Aaliyah's legacy, she has the audacity to lie to one of Aaliyah's closest friends? If that's not worse, I have seen a lot of attacks lashed out on Alex Shipp's younger Brother. Now, I don't agree with this at all, since people should not be dragging her Brother for Alex's mistakes. But having said that, karma has a funny way of working. Maybe now she'll realise the hurt and pain Rashad and Diane are feeling at this very moment in time, because God bless them, they truly are the strongest people I know. 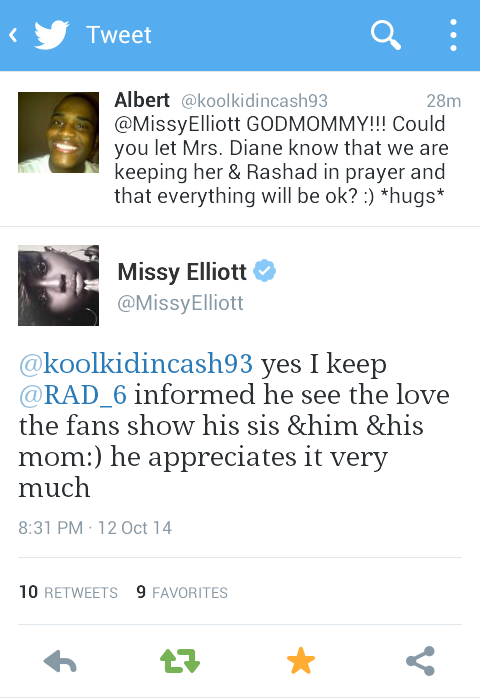 The only thing that gives me a peace of mind, is knowing that Missy Elliot keeps in contact with The Haughton's, in regards to our undying support and love. This honestly warms my heart, to the bottom of my soul. Lord knows that #TeamAaliyah has had many sleepless nights over this fiasco, but rest assure that The Haughton's know of our love, so continue to keep doing what you're doing. We all owe it to Aaliyah to keep her legacy alive, and for her to be remembered for the right reasons based on FACTS, not some other person's exaggerated version of events.